If Life Is a Puzzle, Then Books Are the Pieces! Organize your child's voyage into learning and discovering with KidKraft's Puzzle Book Shelf. Colorful shelves are designed to fit perfectly into each other, adding a colorful feature to your child's bedroom. 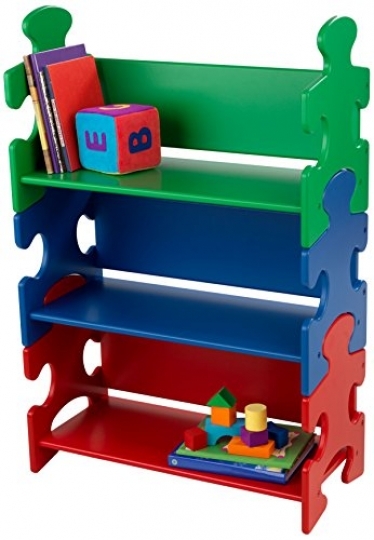 Built to be sturdy, the Puzzle Book Shelf is virtually untippable.